One of the world’s most exotic destinations, Southeast Asia allures with its lush beauty, welcoming people and centuries-old traditions. 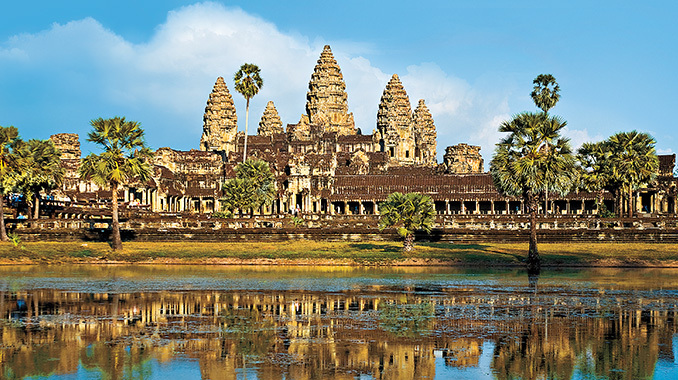 From tranquil fishing villages to bustling modern cities, AmaWaterways Vietnam, Cambodia & the Riches of the Mekong cruise is a tantalizing opportunity to explore this legendary region. There are wondrous sights to behold along this fabled river – ancient temples, monks in bright robes, floating markets and ethereal landscapes. All of this is yours to experience, along with the warm smiles of the friendly people who call the Mekong home. Our goal is to provide journeys that venture beyond the ordinary, with enchanting sights and authentic cultural encounters travelers might otherwise miss. The Vietnam and Cambodia expedition is one of our most enticing itineraries, with shore excursions led by expert guides well-versed in Asian religions, culture and history. And after a day full of incredible sightseeing, there is no greater pleasure than to return to your beautiful ship, the AmaDara to relax and recharge for another day of adventure. Looking for an ultra-immersive and unforgettable Southeast Asia experience? Our Mekong river cruise is the perfect voyage for you! Cambodia is an incomparable treasure trove of cultural and spiritual wonders. In the former capital of Oudong, you will have an exclusive opportunity to visit an ancient monastery and receive a special Buddhist blessing. 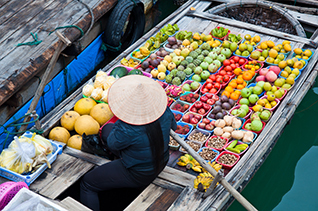 Discover exotic fruits, aromatic spices and local delicacies at Vietnam’s vibrant, kaleidoscopic street markets. Here you will meet friendly Vietnamese people and their delightful children, who always seem to have wide sunny smiles on their faces.